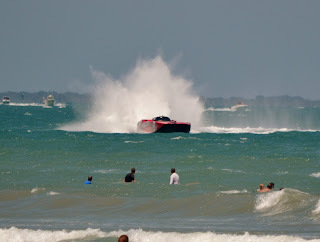 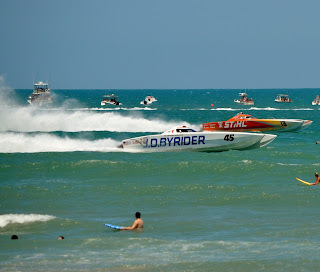 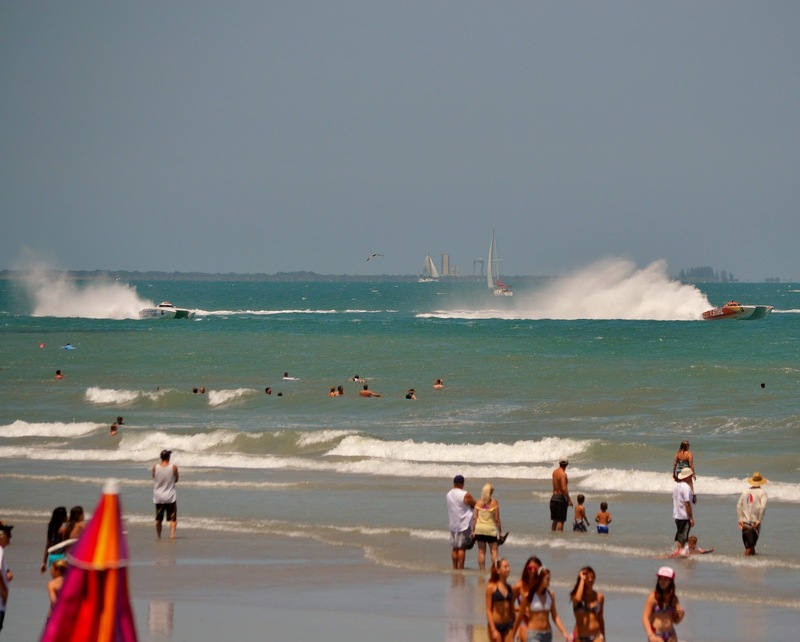 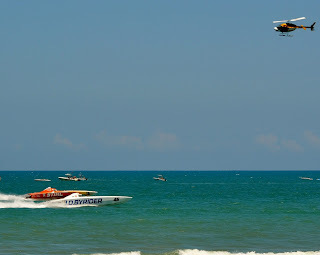 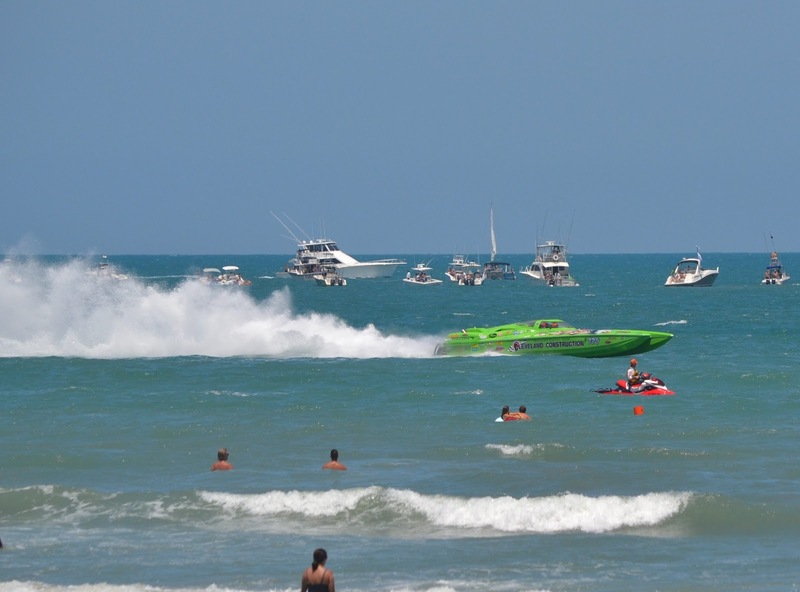 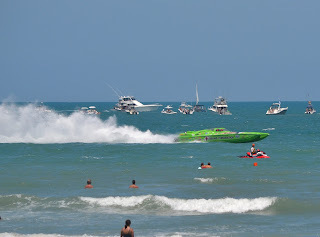 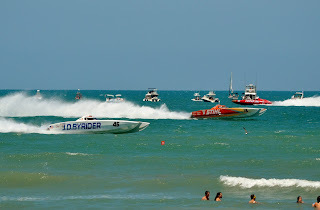 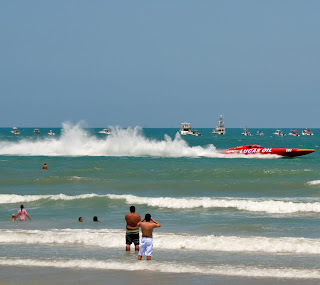 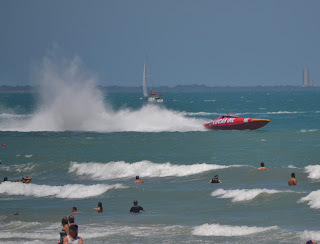 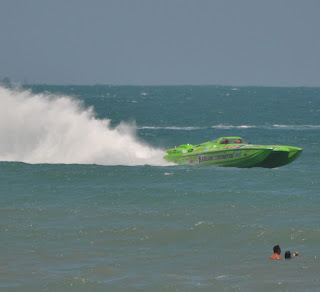 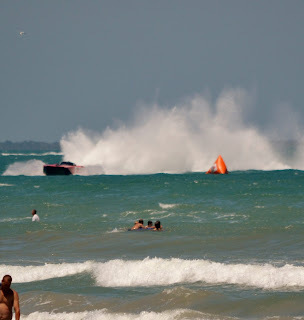 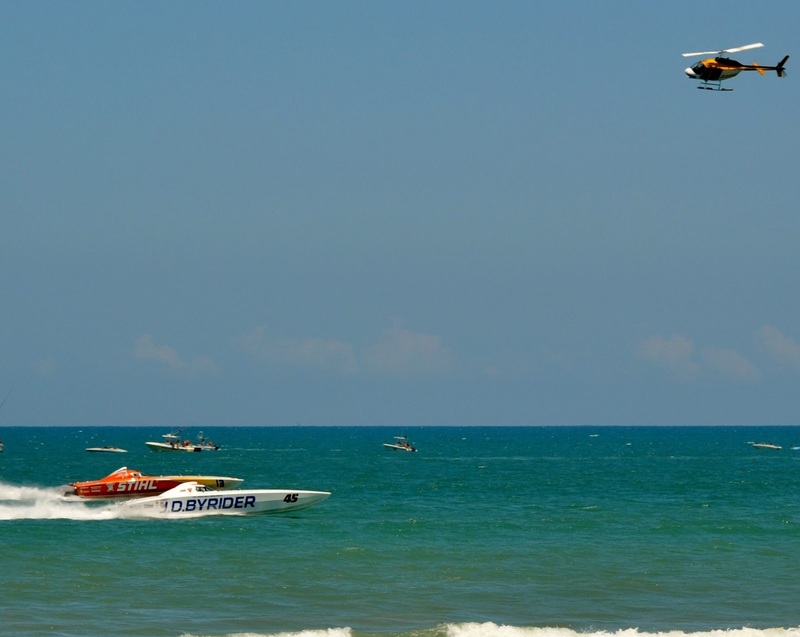 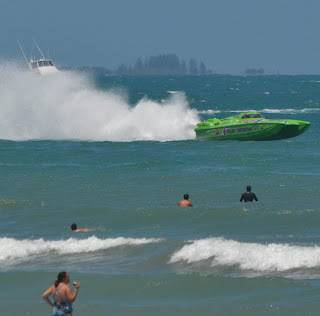 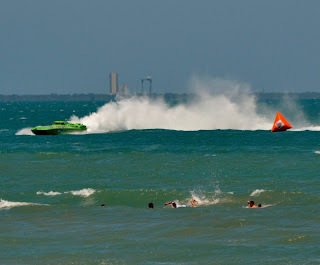 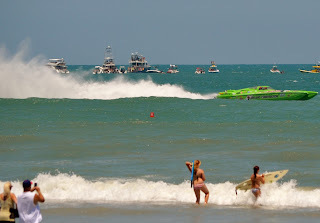 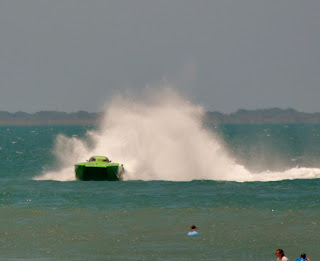 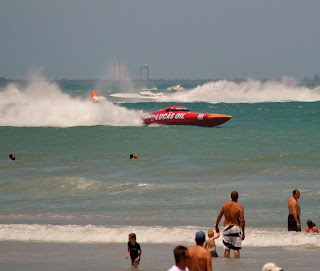 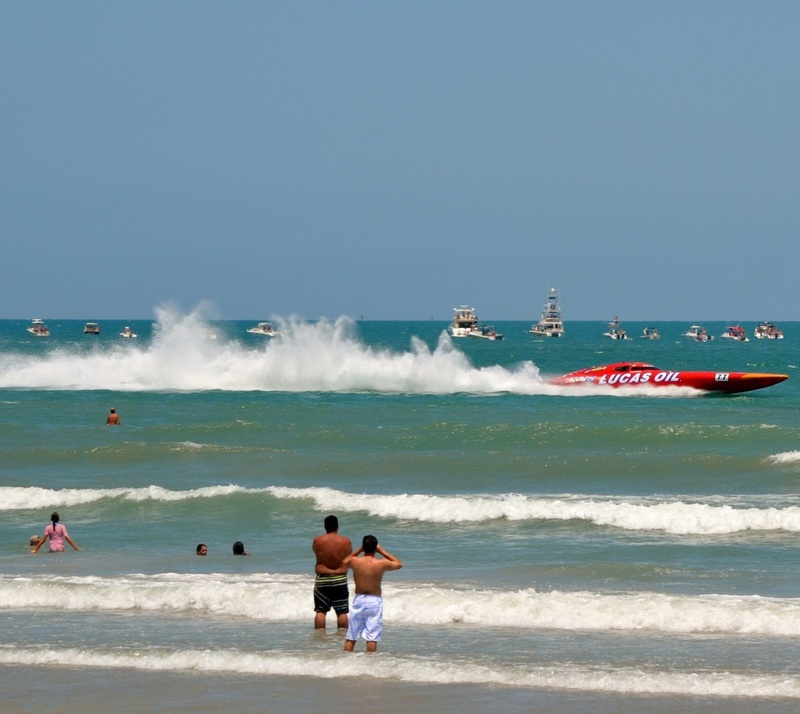 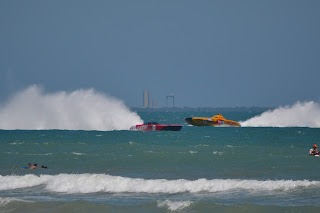 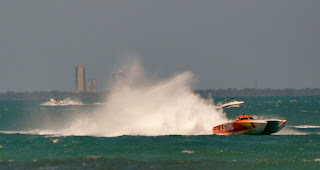 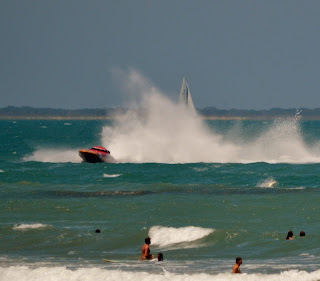 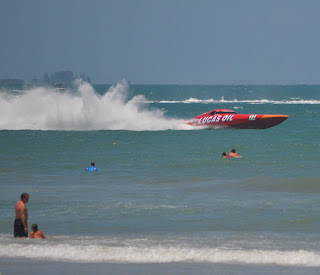 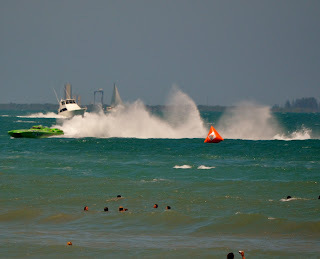 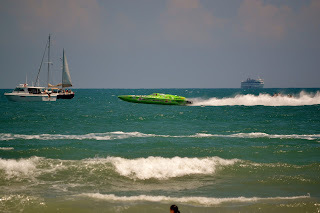 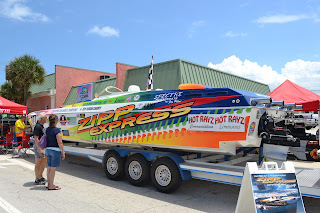 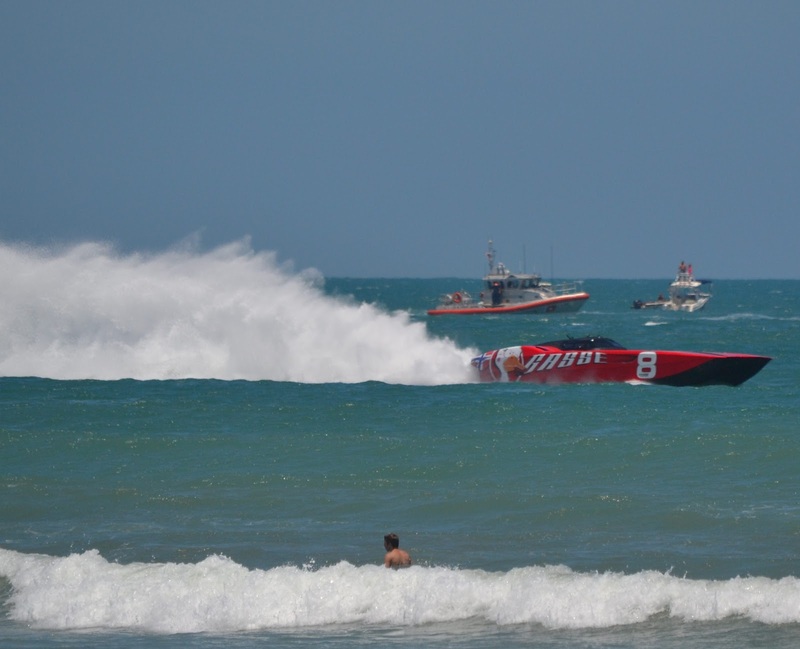 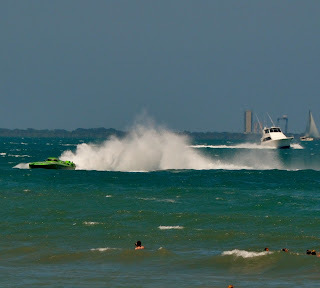 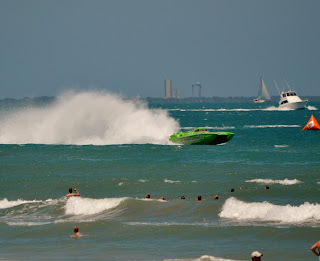 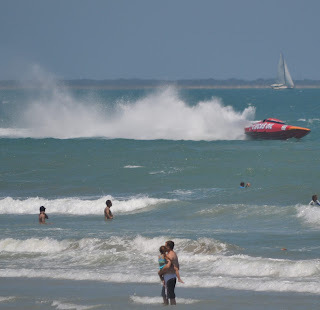 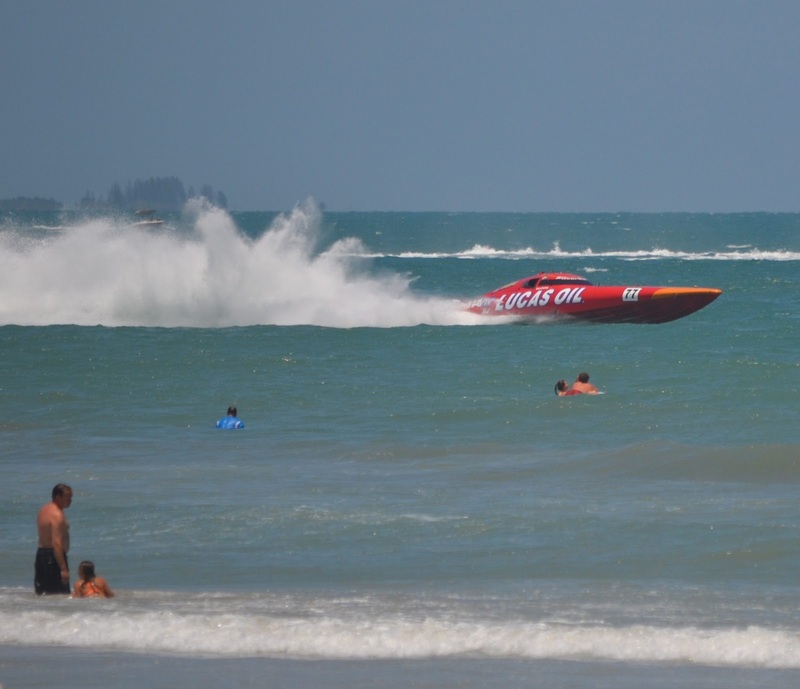 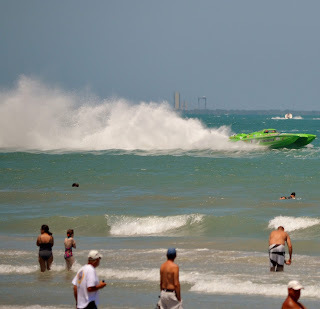 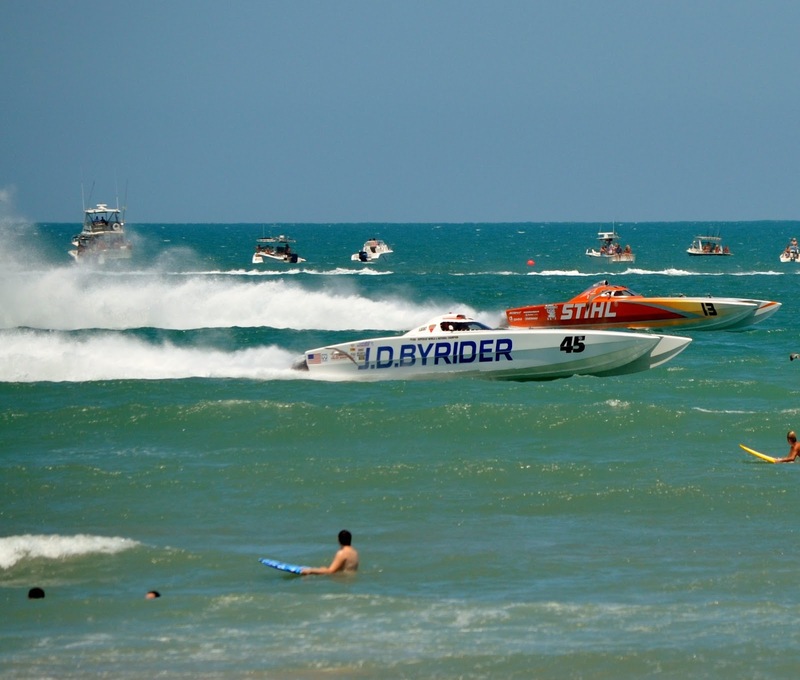 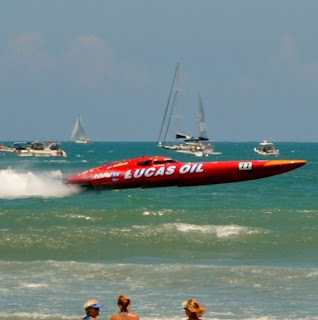 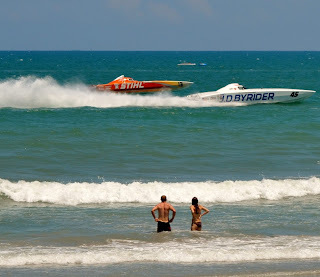 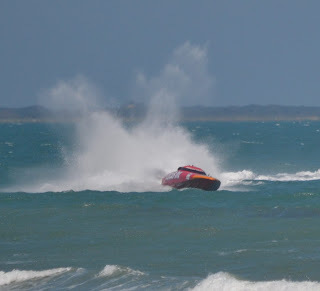 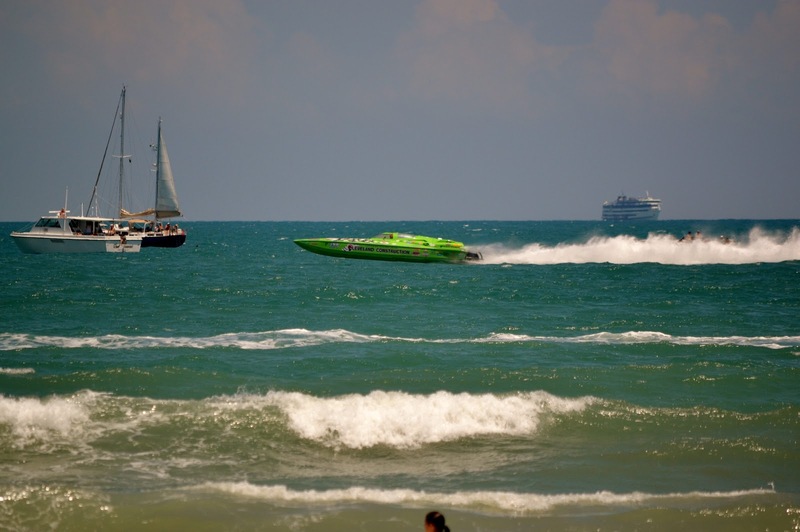 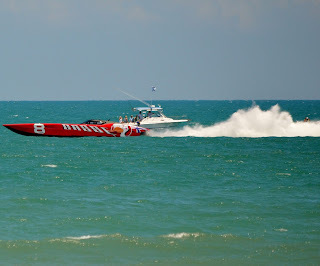 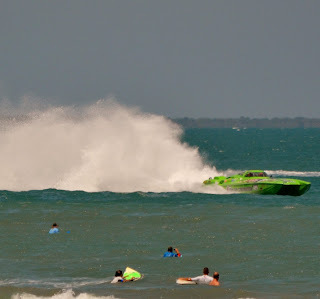 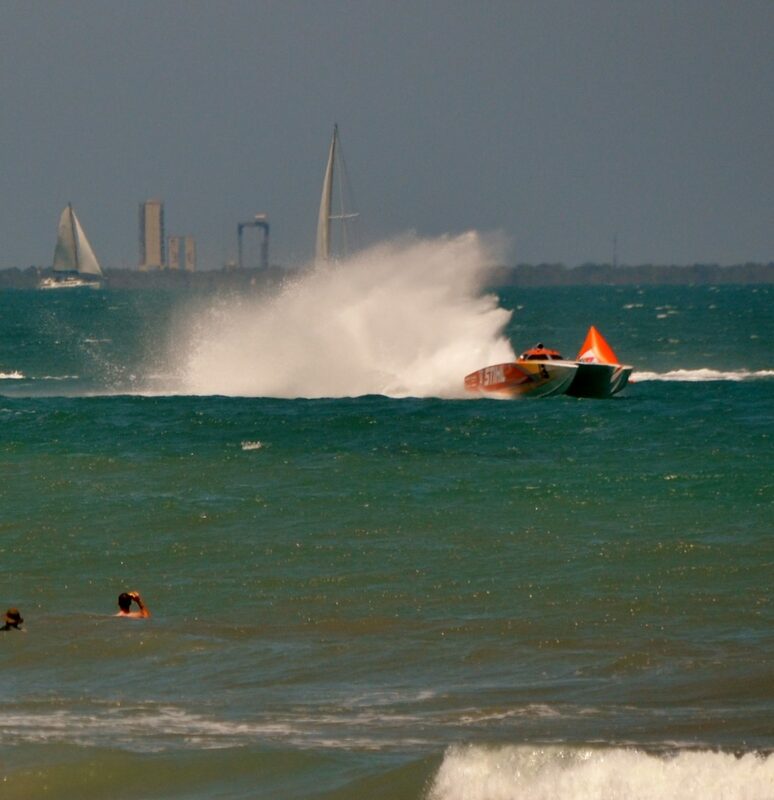 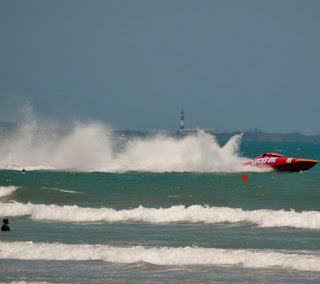 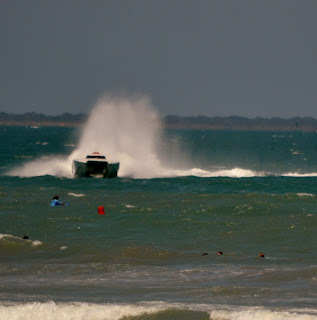 COCOA BEACH, Florida -- The 3rd Annual Bright House Space Coast Super Boat Grand Prix to place this past week in Cocoa Beach, Florida. 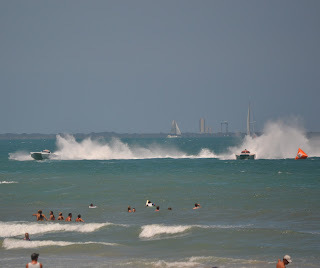 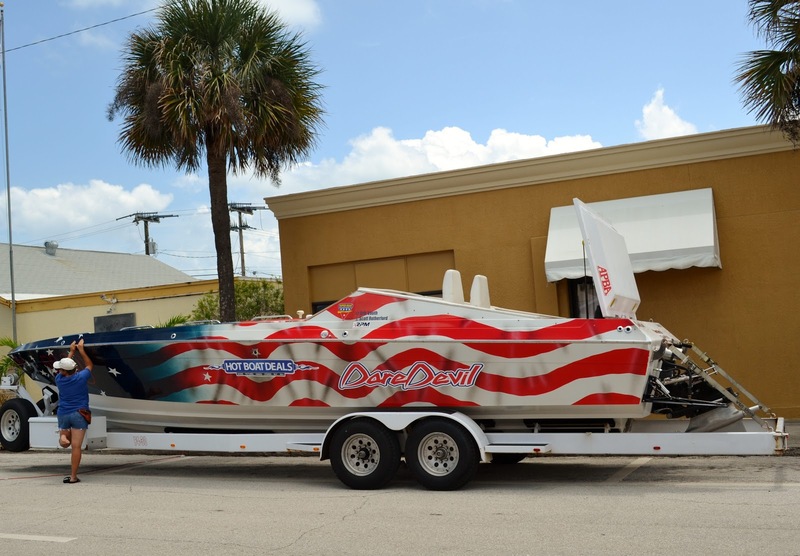 Segments of Minutemen Causeway (between Brevard Avenue and the "Beach End" of Minutemen Causeway) were blocked off on Thursday, May 17, 2012 starting around Noon-time through 10:00PM to make room for a downtown "Power Boats on Parade" display area. 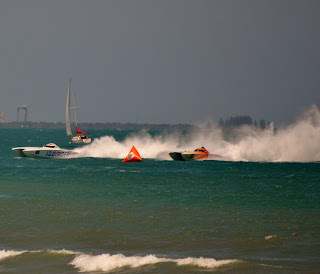 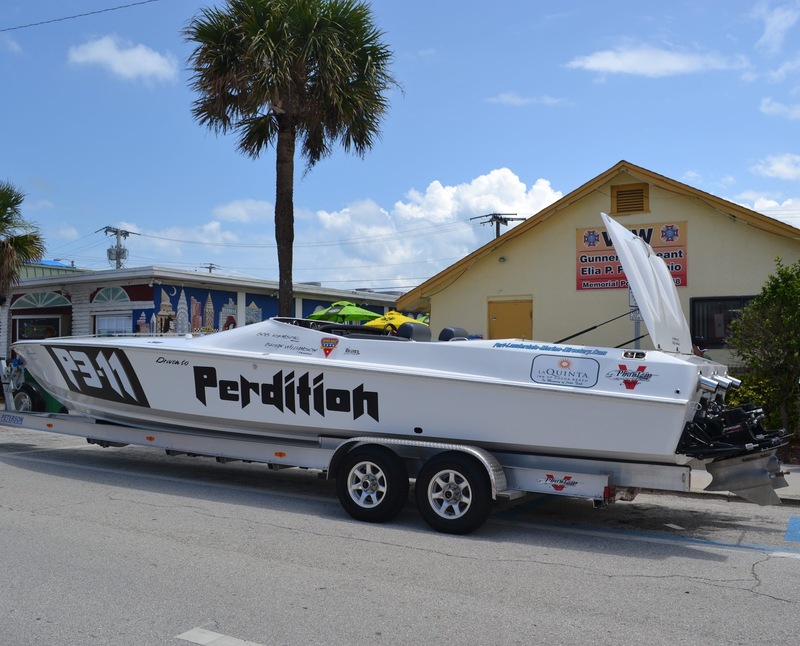 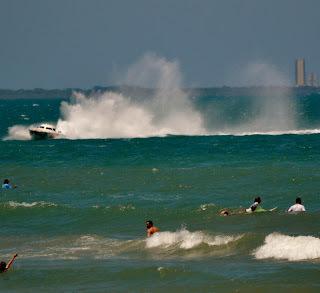 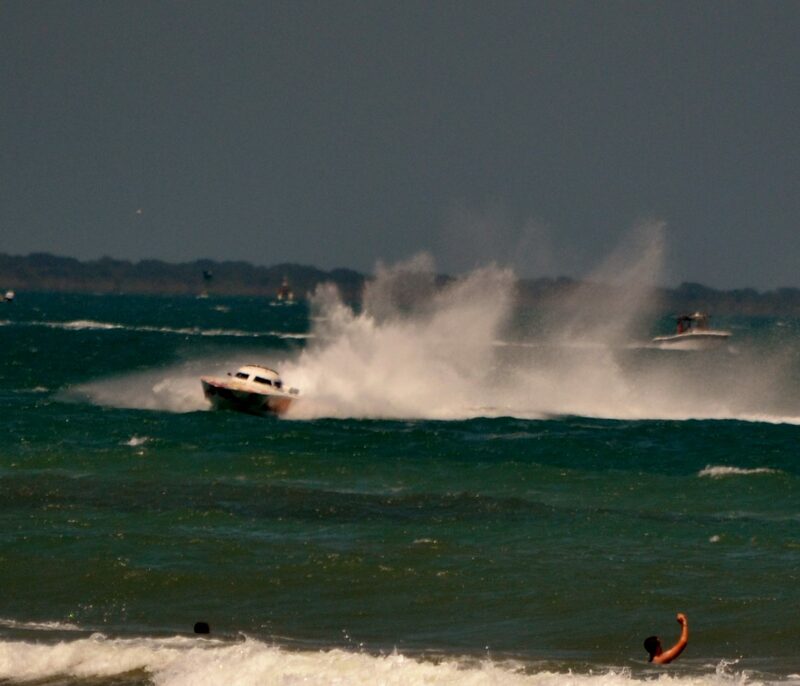 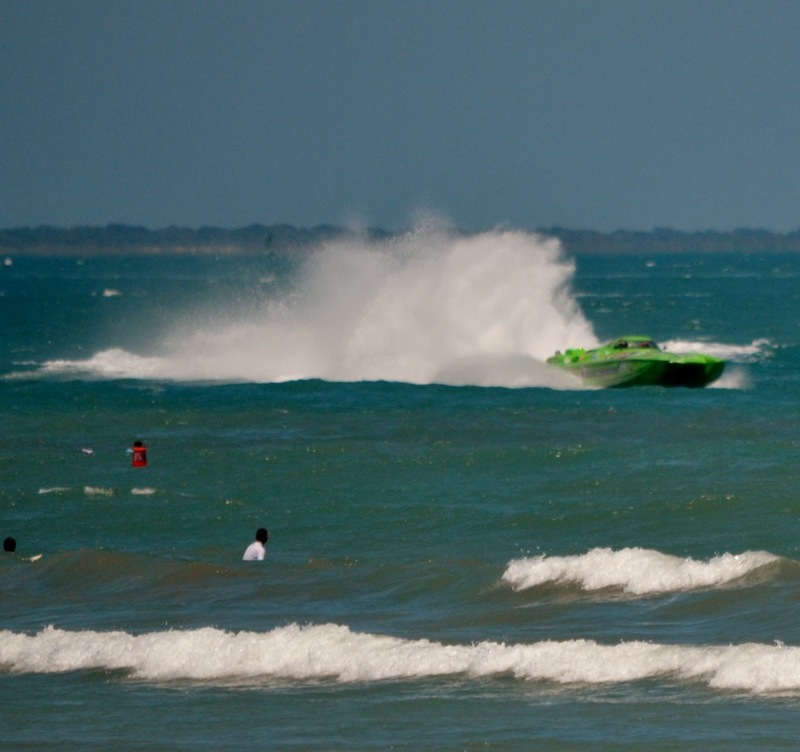 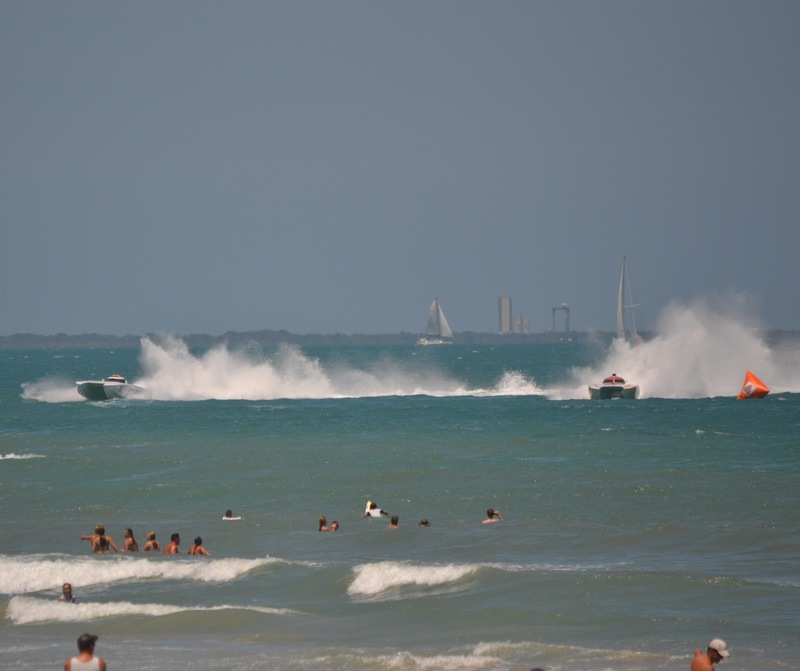 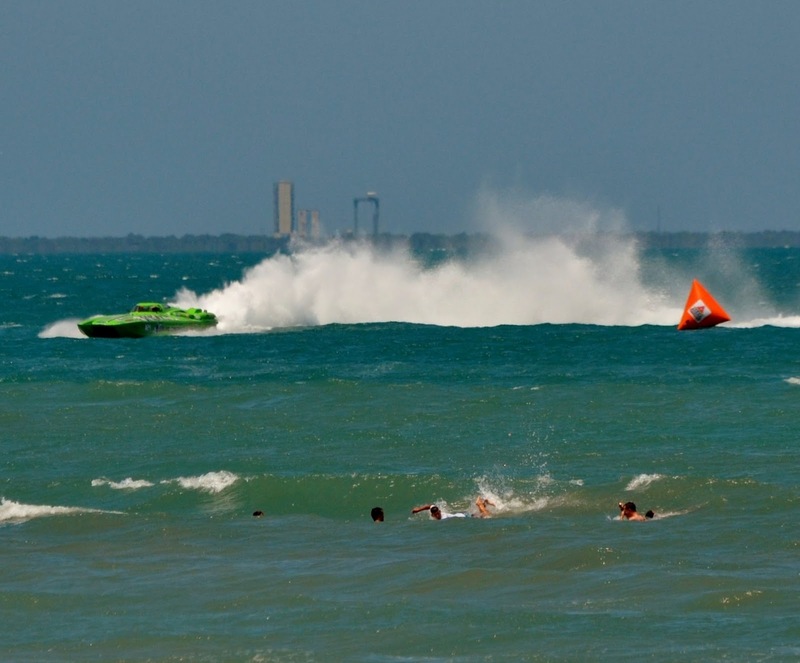 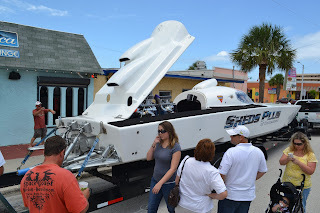 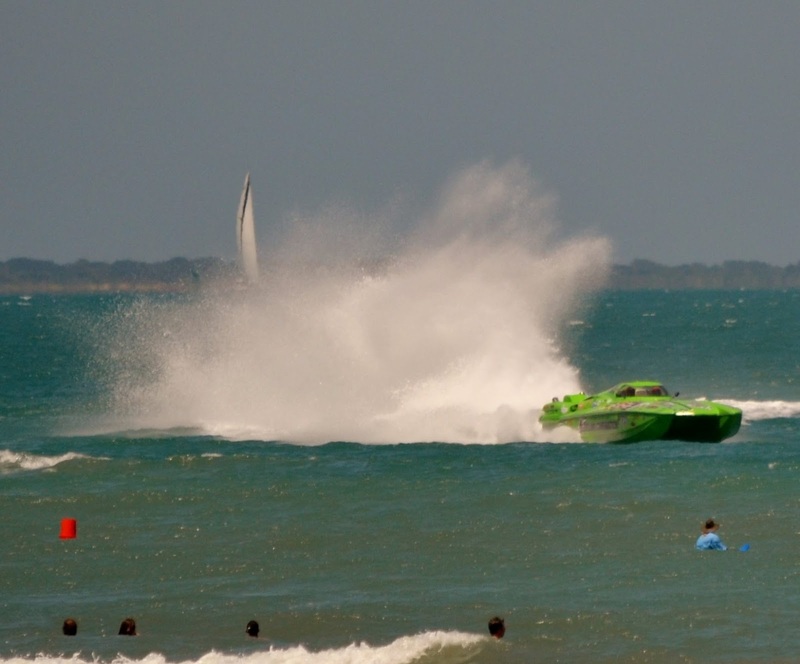 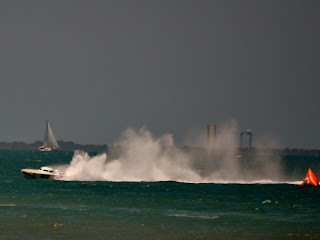 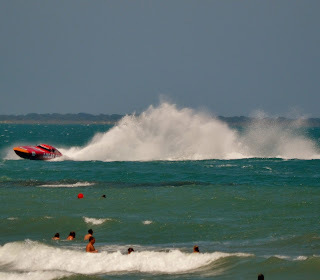 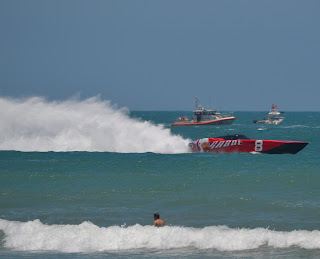 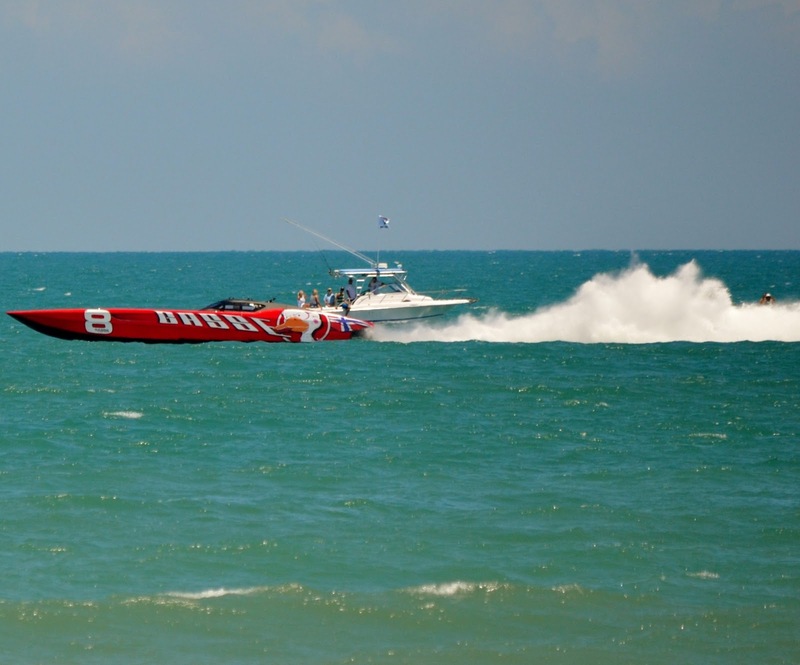 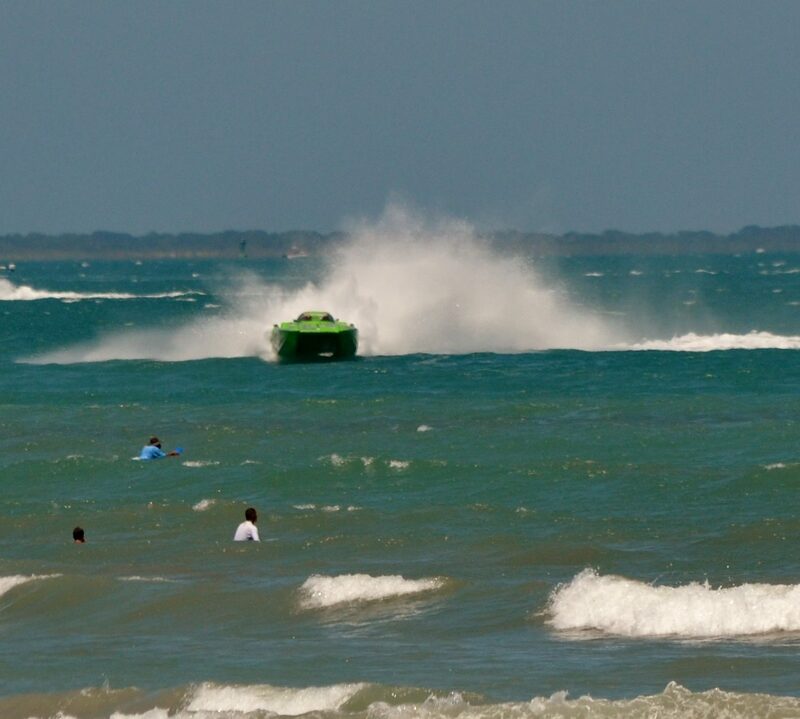 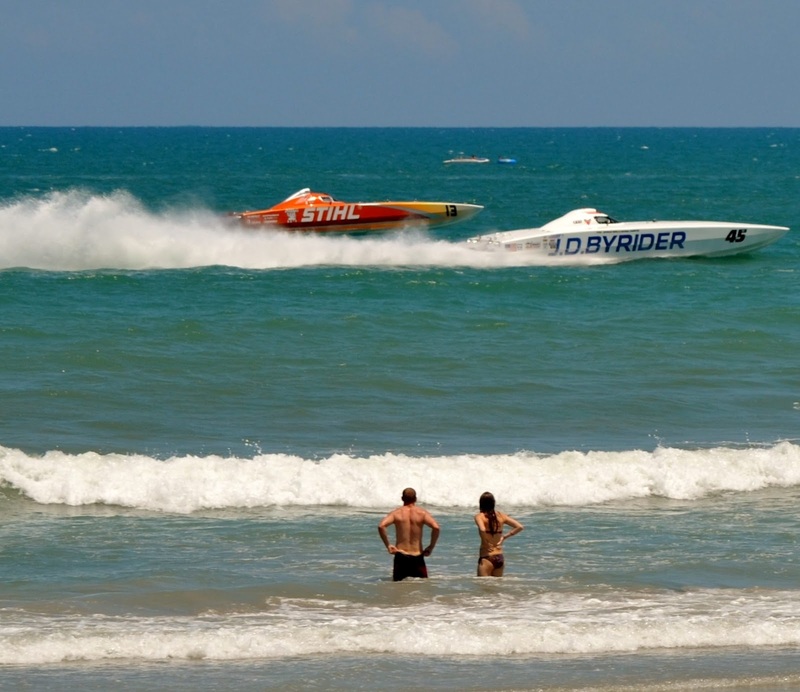 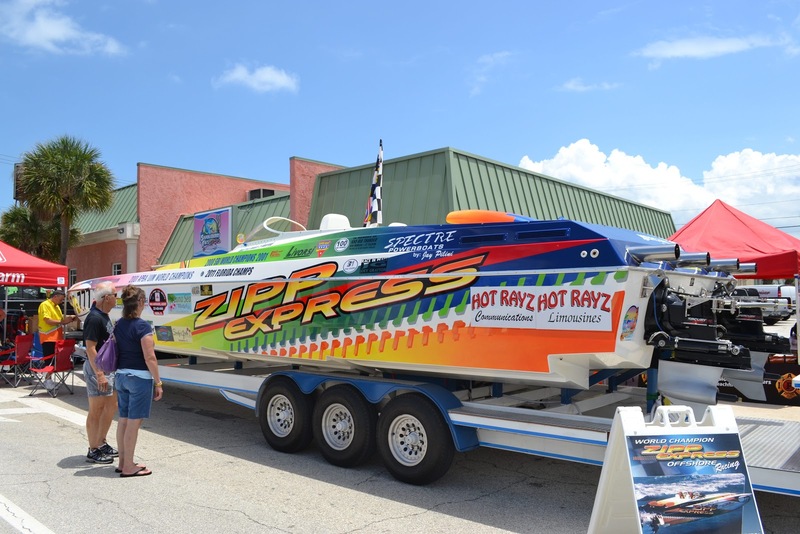 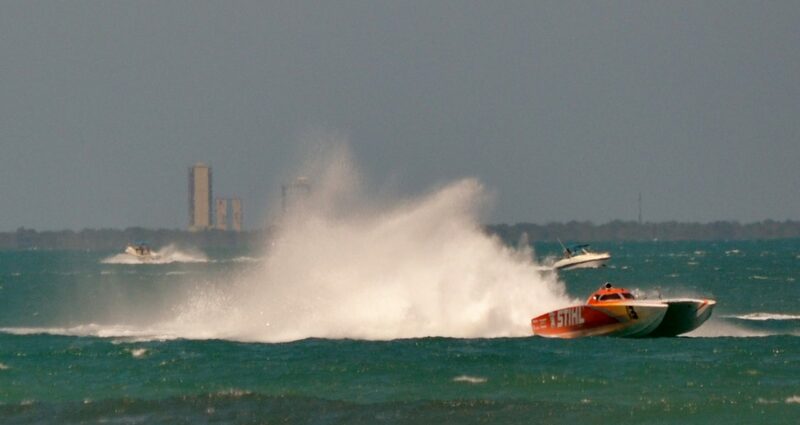 The first race of Space Coast Super Boat Grand Prix took place at noon on Sunday, followed by a second race at 2 p.m. 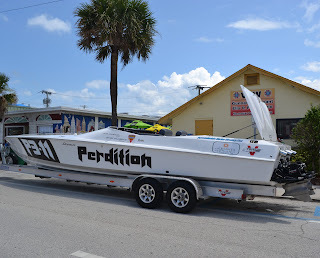 The race route began at The Inn in Cocoa Beach and headed south to a first turn at Lori Wilson Park then back north for a second turn at The Cocoa Beach Pier, then back south for a finish at The Inn.